A dazzling love letter to a beloved institutionâand an investigation into one of its greatest mysteriesâfrom the bestselling author hailed as a ânational treasureâ by The Washington Post. On the morning of April 29, 1986, a fire alarm sounded in the Los Angeles Public Library. As the moments passed, the patrons and staff who had been cleared out of the building realized this was not the usual fire alarm. As one fireman recounted, âOnce that first stack got going, it was âGoodbye, Charlie.ââ The fire was disastrous: it reached 2000 degrees and burned for more than seven hours. By the time it was extinguished, it had consumed four hundred thousand books and damaged seven hundred thousand more. Investigators descended on the scene, but more than thirty years later, the mystery remains: Did someone purposefully set fire to the libraryâand if so, who? Along the way, Orlean introduces us to an unforgettable cast of characters from libraries past and presentâfrom Mary Foy, who in 1880 at eighteen years old was named the head of the Los Angeles Public Library at a time when men still dominated the role, to Dr. C.J.K. Jones, a pastor, citrus farmer, and polymath known as âThe Human Encyclopediaâ who roamed the library dispensing information; from Charles Lummis, a wildly eccentric journalist and adventurer who was determined to make the L.A. library one of the best in the world, to the current staff, who do heroic work every day to ensure that their institution remains a vital part of the city it serves. 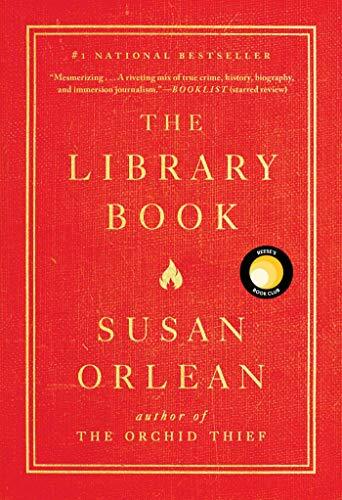 Brimming with her signature wit, insight, compassion, and talent for deep research, The Library Book is Susan Orleanâs thrilling journey through the stacks that reveals how these beloved institutions provide much more than just booksâand why they remain an essential part of the heart, mind, and soul of our country. It is also a master journalistâs reminder that, perhaps especially in the digital era, they are more necessary than ever.